So you’ve got $100,000, and you’re ready to invest it. Maybe a relative has passed away and left you money in a will. Maybe you’ve been building up savings in a retirement account and you’re finally ready to get serious about investing it. Regardless of where you got the money, $100,000 is enough that you have a lot of investing options. You could play things safe by putting it in a high-interest deposit account. You could try to maximize profits by investing in the market. And yet another option is to get into real estate by purchasing a rental property. Here’s a breakdown of your numerous options for investing your $100,000. Before investing any of your money in the stock market, you should strongly consider taking care of two other financial priorities: Paying down debt and creating an emergency fund. Pay down your (high-interest) debt. If you have debt with a high interest rate, your best bet is to pay this down before putting anything in the market. That includes credit card debt and debt from other loans, such as payday loans. The average credit card interest rate is 16%, which is significantly higher than the average annual stock market return. This means that wiping out high-interest debt is a better use of your money than investing in the market… even a bull market. If you have debt on multiple credit cards, consider a balance transfer credit card. This allows you to consolidate your debt and tackle it all at once. It might even have an introductory 0% APR, allowing you to put interest on pause while you pay it down. Another thing you should prioritize is an emergency fund. An emergency fund is simply money that you set aside for yourself to use when something comes up. As an example, what would you do if you unexpectedly lost your job? Would you have enough savings to bridge the gap until you found another job? What if your car suddenly needed a big repair or if you got sick and had to pay some medical bills? With an emergency fund, you have money set aside to help you through these challenges. If you already have an emergency fund, great! Look it over again to make sure it’s still well funded. For most people, a strong emergency fund covers six months’ worth of living expenses. How much you put in your emergency fund, and where you keep it, is a matter of risk tolerance. The safe route is to go the full six months and keep it in a deposit account where there’s no risk of losing principal (like a savings or money market account). Others might keep as little as three months’ worth of expenses. They might also choose to invest the money in their fund, willing to risk their principal a bit if it means seeing a higher return. However you approach it, though, make sure you have a liquid emergency fund that can last you at least a few months. There’s another thing you need to do before investing your money: Take a few minutes to think honestly about what kind of investor you are. This also dictates the kinds of investments you make and which services or companies you use. If you’re interested in doing your own research, creating your own asset allocation and handling trades on your own, then you’re more of a do-it-yourself investor. You probably want to open a brokerage account that offers you access to a variety of financial products. 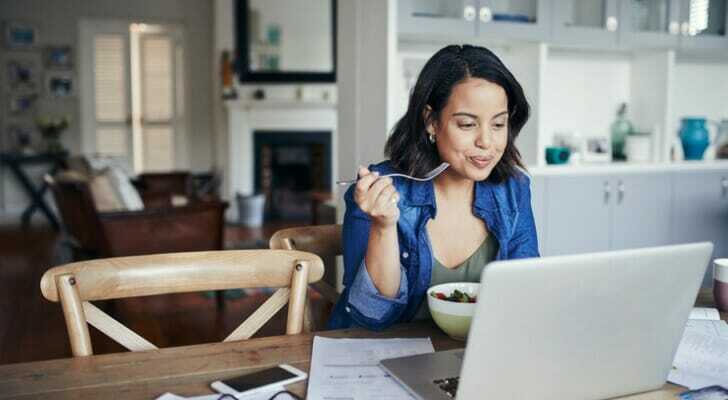 If you don’t have a lot of investing experience or just don’t particularly want to worry about the nitty-gritty of finding investments, you may want to use a robo-advisor. This is a service that builds and manages a preset investment plan, based on your situation and goals. Robo-advisors usually charge (relatively) low fees and cover the basics of investing. Here are our top 10 robo-advisors. If you want more in-depth financial guidance, consider working with a (human) financial advisor. An advisor can help you create a comprehensive financial plan and manage investments on your behalf. This option is the most expensive than robo-advisors, but it also provides the most personalized help. If you’re on the fence, check out this guide to whether or not you need a financial advisor. The final piece of the puzzle in your investing style is your risk tolerance. If you have high risk tolerance, more of your portfolio will be invested in equities (stocks). You might also be more will to invest in smaller companies, which means both a greater opportunity for growth and a greater risk of loss. A robo-advisor or financial advisor can both use questionnaires to gauge your risk tolerance. You can also use our asset allocation calculator to measure your risk tolerance and choose investments accordingly. Saving for retirement should be a major goal for everyone. If you haven’t saved much for retirement yet, putting $100,000 toward your retirement accounts can make a big difference. How exactly you save will depend on your individual situation. If your employer offers access to a tax-deferred account, consider making a maximum contribution. Common examples are 401(k), 403(b) and 457(b) plans. The maximum for all of these is $18,500 for 2018 and $19,000 for 2019. At the very least, make sure you contribute enough to max out any matching that your employer offers. These accounts are useful for retirement savings because you don’t have to pay taxes when you contribute, or as your accounts grow. You only pay tax when you withdraw the money in retirement. Contributing the maximum means smaller paychecks, but if you have $100,000 to spare, then you can likely afford the dent to your monthly income. 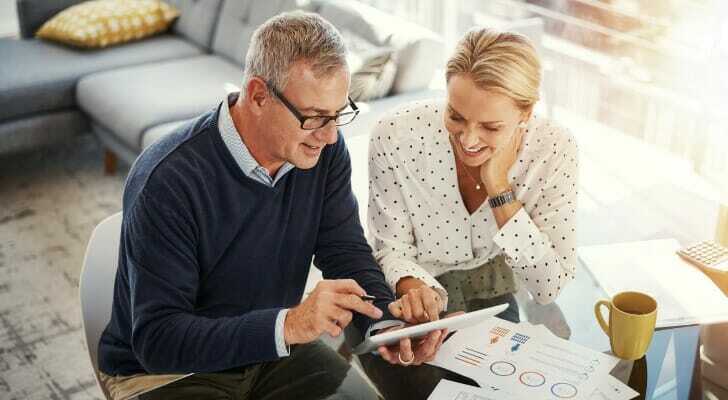 After you contribute to your employer’s retirement plan (or if your employer doesn’t offer one), consider maxing out an individual retirement account (IRA). A traditional IRA provides the same benefits as a 401(k). You pay tax on your funds when you withdraw them, but the money that goes in is pre-tax; since it’s not a paycheck deduction like a 401(k), this means you get to deduct the money you contribute on your taxes. Another options is a Roth IRA, which allows you to contribute after-tax money. There’s no deduction – this is money you’ve already paid income taxes on. The benefit is that your investments grow tax-free and you won’t pay any taxes when you withdraw the money. A Roth IRA is probably preferable if you’re early in your career. Because you probably have a lower income than you will have later in your career, you can save money by paying the income taxes now instead of later. With IRAs, you have a combined limit of $6,000 in 2019 (up from $5,500 in 2018), so make sure to think about where you want to contribute to a traditional IRA or R0th IRA. Whether you’re investing for retirement or some other goal, the big question is: What investments should you actually buy? Below is a rundown of four popular options for you to consider. If you’re looking to invest, there are a lot of options. Mutual funds and exchange-traded funds (ETFs) are all good ways to create a diversified portfolio of investments. Mutual funds are effectively baskets of investments. They might be all stocks, all bonds, or a combination thereof. Mutual funds have a manager – a person who is choosing what to include within the fund. This could provide a nice in-between for people who want to invest in individual funds but don’t have the time or know-how to research every stock. So instead, you just research a mutual fund and/or mutual fund company. Then you leave the specific investing decisions in the hands of the fund. The big trade-off is that some mutual funds, especially actively-managed funds, can have high management costs. ETFs are similar to mutual funds, but they trade like stocks. They often, but not always, have lower costs than mutual funds. You can invest in just certain types of companies (e.g. large corporations), specific sectors of the economy (like technology or healthcare) or in other types of investments, like bonds and real estate. There are also ETFs that center on an idea, such as supporting renewable energy. Within the world of mutual funds and ETFs, one popular option is index funds. Rather than having a manager who actively picks stocks and make trades, index funds attempt to track the performance of a single market index. For instance, an index fund might track the S&P 500 index (the 500 largest publicly traded American companies). The result is that you can easily (and often cheaply) invest in a wide range of companies. This provides you with some protection in case certain companies or sectors of the economy struggle. Index funds tend to outperform actively managed funds over the long term. When many people think of investing, they imagine picking that one stock that’s going to take off as the next Apple or Amazon. The truth is that trading individual stocks is time-consuming and risky. You need to do thorough research on companies, and ideally you’ll be well-versed in methods of equity analysis like technical analysis and fundamental analysis. While there is potential for big gains, there is also potential for big losses. There’s nothing wrong with using your money to invest in this way, but it does require a fair amount of time and knowledge. If you want to invest in real estate but don’t know where to start, consider investment funds. REITs are particularly popular and allow you to invest in real estate without buying any property yourself. There are also ETFs that include multiple ETFs, allowing you to track the real estate market as a whole. For people you want to purchase property, $100,000 is enough, in many places, to make a sizable down payment. If you live in a very expensive area like New York or Los Angeles, consider purchasing a property outside of your city or even out of state. Living in one state and owning property in different states could complicate your taxes, but don’t let that discourage you if you want to buy property. Just make sure to first speak with an expert, like a financial advisor, for advice on how to best set up and manage your finances. If you already have investments or if you just aren’t quite sure yet how you want to invest your money, there are some safe places you can store your money. The simplest way to save your money is in a savings account. Most big banks offer very low interest rates on their savings accounts (think 0.05% or less). Instead, look for a high-interest savings account. Companies like Ally, Synchrony and CIT Bank all offer rates above 2%. 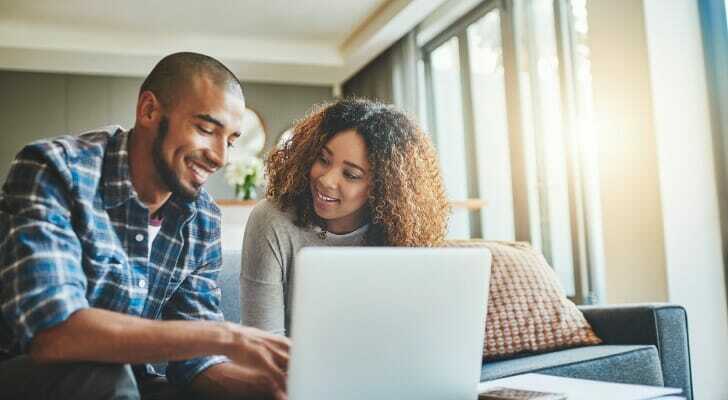 A money market account (MMA) is a similar option, and interest rates for MMAs are typically higher than for savings accounts. Another safe place to park your money is in a certificate of deposit (CD). A CD has a set term, ranging from a month to up to 10 years; you cannot touch your money until the term has elapsed. The trade-off for this reduced liquidity is higher interest, and longer terms generally have higher rates (around 3%, as of early 2019). You might also get a higher rate with a jumbo CD, which are specifically for balances of $100,000 or more. CDs require you to give up access to your money for a while, but they offer a guaranteed payout. And so long as the bank is FDIC-insured, your money is safe. Should You Invest Your Money All at Once? Even if you have a plan for the perfect asset allocation, it’s a good idea not to invest all of your money at once. Instead, consider spacing out your investments over time through a strategy such as dollar-cost averaging. Dollar-cost averaging is a simple investing strategy where you invest a fixed amount of money at regular intervals. For example, let’s say you want to invest $6,000 in one ETF. With dollar-cost averaging, you might invest $1,000 a month over the course of 6 months instead of investing it all at once. The advantage of spacing out your investments is that you face less risk of spending all your money on an asset while it has a high price. While markets go up over time, corrections and even crashes do happen. If you have the bad luck to invest your entire $100,000 right before such a downturn, you’ll lose big. By spacing out your investments, you mitigate this risk. As you might imagine, dollar-cost averaging is most useful for assets that see regular fluctuations in price. It’s not necessary if you’re putting your money in, say, a CD, where there’s little or no risk of loss. With $100,000 to invest, you have options. You can park it somewhere safe, like a CD or high-interest savings account, or you can take a little risk and invest in the stock market. If you go the investing route, you can choose how much risk you want to assume. The right index fund gives you a diversified portfolio for a low price, while trading individual stocks may produce big gains. There are also investing options outside of the stock market, such as real estate. No matter how you choose to invest, start by paying down your debt and making sure your emergency fund is properly funded. Then consider putting as much as possible in tax-advantaged retirement accounts. Finally, make sure you consider your risk tolerance and create a strong financial plan before you start making investment decisions. Intimidated by all the investment options at your disposal? Or just worried you might make a mistake investing your $100,000? We don’t blame you! Indeed, you may have noticed that we’ve recommended that you speak to a financial expert. Financial advisors specialize in building financial plans and investing assets on their clients’ behalf. To find a qualified advisor in your area, we recommend this free financial advisor matching tool. It considers your financial situation and goals, then identifies up to the three local advisors who can help you achieve those goals.